If you’re like me, you eventually end up with too many identities. I haven’t figured out how to associate different email addresses with a single account, so I have to maintain several different Google identities. For example a client invites me to join his Google group using his company email, so I have to set up a new account to access and manage that group. At some point I try to consolidate these to use my GMail identity, but that isn’t always possible (the client may for instance have decided to restrict their group to only allow access by people using their corporate domain addresses for instance). One of the things I always struggle with as a project manager is how to communicate availability. If I’m using a corporate email system like Exchange, it is extremely easy to set up calendars to be shared, and everybody using that system has the ability to at least see your free/busy status which helps in setting up meetings.But when you’re dealing with a disparate group, who don’t have access to the same information, figuring out meetings can be difficult. I manage some of this complexity with tools like Plaxo and MobileMe, which allow you to keep calendars in synch across a variety of calendar systems, including Google, Yahoo and even the local calendar application. This doesn’t solve the problem of how to check on availability however. What I’ve always found most effective inside the corporate firewall is to make my calendar public, and to ask my team members to share their calendars as well. This allows me not only to quickly schedule meetings, but gives me insight into what sorts of meetings my team is scheduling, and how they are managing their time. So, on the outside of the firewall, I have started using Google Groups and Google Calendar to acheive some of the same effect. 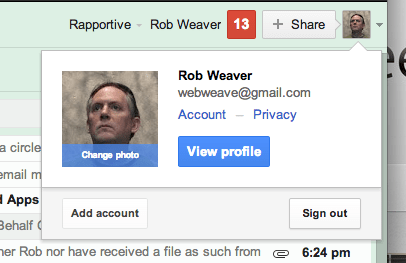 First I set up a Google Group to give me an alias for the team. It also gives us some basic collaboration tools, web access to messages, and a place share files. Then I set up a Google Calendar with the same name as the Group. There’s no requirement to do this, but it’s convenient to have a calendar where you can put group events, and keeping the name consistent makes life easier. Once you have a group calendar created, it will show up in your calendars list along with any other calendars you have created. If you added the group email alias to the sharing list during creation, then everybody in your group will have been notified that they have access to the calendar. Alternatively you could simply email all of the individuals in the group. First thing that I do is to make sure the “Make this calendar public” check box is ticked, this allows your calendar to be seen by others. You can also set the “Share only my free/busy information (Hide details)” tick mark if you want to hide the specifics of your calendar. Once that is done, everybody can see my calendar. Even if you don’t make your calendar public, you can send an invitation to share your calendar, by typing in an email address. So to notify your group that they can access your calendar, you can either invite them individually, or type in the email address of the group. They should then get a nice invite from Google Groups that tells them your calendar is available, and can add it to their “Other Calendars” list. The last step is to ask for access to your team member’s calendars. To do this you click on the “Add” link at the bottom of the “Other Calendars”. This takes you to the screen where you enter the email address of the person that you’d like to ask for access to their calendar. If the address isn’t a GMail address, it will also prompt you to invite them. Once they have accepted, you will have access to their calendar, and it will appear in your “Other Calendars” list (as Laura’s does in mine). Because the group and calendar are not integrated, you will have to add any new members (or change or delete) in both places, but in essence this gives you access to what you need to help make meeting scheduling easier. Posted in Business, Google, Technologoy, Web. I recently ran across a post by Michelle Hancock on LinkedIn and noticed that she had her email address showing right below her name. I sent her a LinkedIn message asking her how she did that, and she kindly replied that I could call her and she’d walk me through the process. As it turns out, all she did was to append the email address to the end of the field for her last name. You should see your profile as it exists now and some links to edit, choose the one next to your name. You’ll be prompted to log in again (I think they do this for security reasons). Once you get the edit form, tab to the last name. Go to the end of your last name, add a space or two, and then type your email address (or phone or whatever other info you want to show up there). The down side to this is the same as the up side: now everybody has your email address, so if you’re worried about SPAM bots, you may want to put a space in there, or type it out as “me AT mydomain.com”. And that’s all there is to it – now you have your email address where anybody can find it. Note: Walt Feigenson tells me that this may be against the LinkedIn Terms and Conditions, and that you should only put the email in your profile. I haven’t verified this yet, but when I do I will update this post again with my findings. Posted in Business, Facebook, Networking. One of the most common mistakes I’ve seen businesses make over the years is to lose focus on what made them successful in the first place. Over the last year or so I’ve become more disappointed with Plaxo. They seem to have forgotten that their key differentiation in the market was the way that they helped you keep your address book (and calendar) up to date, and secondarily to keep multiple services in synch. To me they seem to be chasing social networking at the expense of the things that they already were really good at. Perhaps part of this is because they got bought by Comcast, but losing focus is never a good thing. They gave the site a face lift a while back and added a whole social networking thing with the Pulse bit, which seems to be modeled after some other social networking sites. The thing that drew me to Plaxo (almost ten years ago now) was that it solved a huge problem for me: keeping my address book up to date. Before Plaxo, I’d SPAM my address book about once a year to see if I got any bounces, and then go through the bounces one by one to update them. This ended up being a lot of work, and had no guarantee of making sure that I had up to date information for anybody. Also there’s the problem that when people change their email address, it doesn’t always bounce, so I could be sending email to a dead account. Lots of companies leave old email addresses open and/or don’t send bounce messages for invalid addresses, so no reply doesn’t always mean what you think it might. And if you ask for a response, not everybody will anyway. The other problem before Plaxo (B.P.) was that my address book was never very reliable. Sometimes I would get an email, and save it to my address book, but if I didn’t have a business card or some way to gather other information about them, that would be the only information in the address book. So six months later when they moved to the new company, I had no email address or way to find them. So while I was still working at Quovera, Praveen Shah pointed out Plaxo to us as a cool thing. I fell in love instantly. Not only did it give me a backup of all of my contact and calendar data, it offered to automate my getting more accurate data. A few clicks, and Plaxo sent out an email that gave each person in my address book (who didn’t belong to Plaxo) a personalized message from me with their address information, asking them if everything was up-to-date (and of course inviting them to join Plaxo). If the data was good, they simply clicked a button and my address book was updated to say it was valid. If they had changes, they could enter them in the form that was emailed, and Plaxo would automatically take that data and put it into my address book. Best of all, it was free, and they promised to keep your contact data private. There was also the exciting possibility that if everybody you knew joined Plaxo, you’d never need to ask for an update again, because Plaxo would automatically flow information changes between Plaxo members in your address book. For that alone, I paid the premium support price because I wanted to see them succeed. And the other bit that was extremely well done was the synchronization between clients. If you used multiple machines, it was really easy to keep them in synch and for the most part it didn’t seem to have the habit that some other synchronization software at the time did of duplicating everything over and over. At some point they got a reputation from some people as being a spammer, I think mostly because during the install it was easy to have Plaxo send an email to everybody in your address book even if you didn’t mean to. I did this a couple of times myself and ended up sending Plaxo requests to people like John Chambers (who of course I don’t really have any reason to email directly). I suspect mistakes like this caused the spammer reputation because you’d get asked about the email, and it was easier to blame Plaxo than to admit that you forgot to uncheck John Chambers when you asked for updates. Anyway back to the point of this story, with their new social networking focus, they no longer have any way to automatically keep address information up to date for people who are not Plaxo members. In fact the only way you can ask somebody for an update to their information is to invite them to join your Pulse (or the old fashioned email approach). So that works for the people who join and don’t mind having yet another social network to think about, but I’m back to square one for people who won’t join Plaxo (often because of the spammer reputation). It still gives me synchronization between my different computers, and a few of my online address books, but it’s no longer as powerful as before. I’ll probably still use it if I were in the situation I’ve been in before where I needed to keep my address book and calendar in synch at the client site with my home address book and calendar. But now I need to find a solution for the larger part of my address book updating that drove me to Plaxo to begin with. As to Plaxo – I saw this same sort of thing happen when I was at Excite. We basically were Google: had the best search engine on the planet, our home page was just a search box, and we were doing a better job with the technology than anybody else. But we were smaller than Yahoo (and Alta Vista), and we started to model our web site after a magazine (a lot of trying to match or beat Yahoo instead of focusing on our core competency). It’s my opinion that it was that very loss of focus that resulted in Excite being bought, and folded into one failing company after another. Excite still exists, and the even still sport the LEP (Little Excite Person) logo, but between losing focus (and of course timing) they are no Google (in fact I wonder if they even do their own search any more). I am hopeful that Plaxo will reinvent themselves and give me back the functionality that drew me to them, because if they don’t I fear they are destined follow Excite‘s example: they’ll become an also-ran in the social networking space instead of the stellar provider of a technology that can make life better for anybody who uses it.